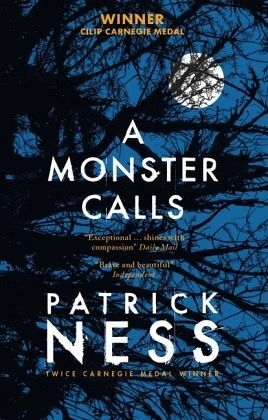 The bestselling novel about love, loss and hope from the twice Carnegie Medal-winning Patrick Ness. Conor has the same dream every night, ever since his mother first fell ill, ever since she started the treatments that don't quite seem to be working. But tonight is different. Tonight, when he wakes, there's a visitor at his window. It's ancient, elemental, a force of nature. And it wants the most dangerous thing of all from Conor. It wants the truth. Patrick Ness takes the final idea of the late, award-winning writer Siobhan Dowd and weaves anextraordinary and heartbreaking tale of mischief, healing and above all, the courage it takes to survive.